Releases from The Fleshtones, The Minus 5, and Los Straitjackets available exclusively at participating independent record stores November 24, 2017. 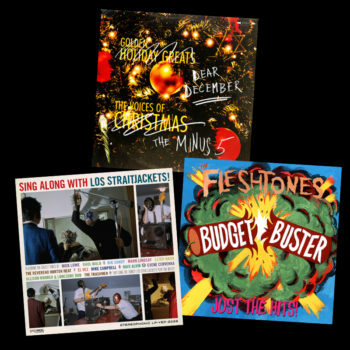 Yep Roc Music Group announces four Black Friday Record Store Day titles, including The Fleshtones, The Minus 5, and Los Straitjackets. All titles will be available exclusively at select independent music retailers on Friday, November 24, 2017. For a list of participating stores, please visit: www.recordstoreday.com. 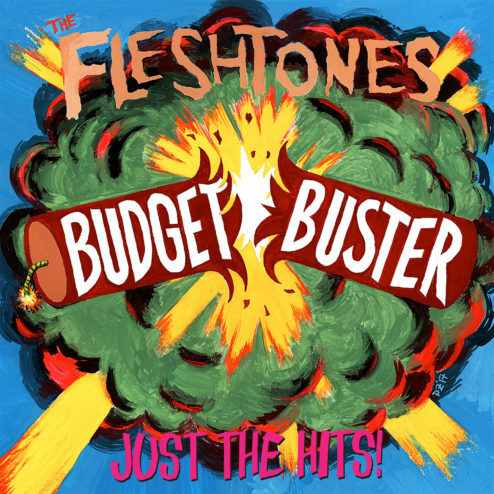 Known as the “The Kings of Garage Rock” or “America’s Garage Rock Band,” there’s no debate that The Fleshtones are one of the hardest working (and rocking) bands of all time. In the past decade, the band’s released loads of new music that rivals the efforts of their 40-year career. Budget Buster is a compilation of some of their finest singles and rarities over the last 10 years, many of which are out-of-print and difficult to find (plus two unreleased tracks). 2001’s Sing Along with Los Straitjackets was the first time the masked instrumental musicians let vocals appear on their tracks, an endeavor they would embark on again later with Deke Dickerson. 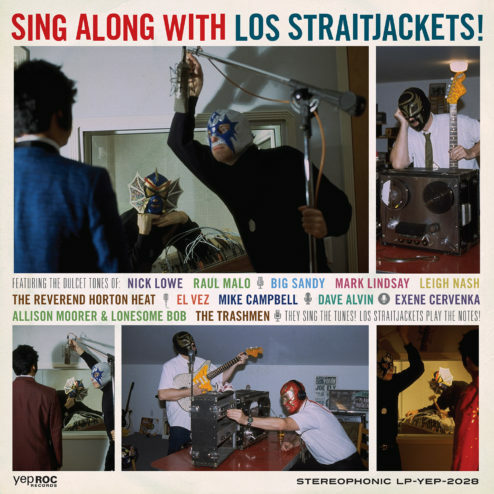 Sing Along with Los Straitjackets features a party of musicians spanning the musical sphere, from Nick Lowe playing bass on his own “Shake That Rat,” to collaborations with Exene Cervenka, Mark Lindsay, The Trashmen, Tom Petty and the Heartbreakers’ Mike Campbell, and more. Being reissued on LP for the first time, every LP also comes with a bonus 45 single featuring two rare collaborations from the Sing Along with… sessions featuring Dave Alvin and Reverend Horton Heat, who also appear on the album. In early 2017, Scott McCaughey penned a few holiday numbers to submit to a well-known artist’s prospective holiday album. He became so inspired by the task that he wrote more than an album’s worth of material and decided to record that album with his group, The Minus 5, which for this project includes Minus 5 co-captain Peter Buck and drummer Joe Adragna as core members. 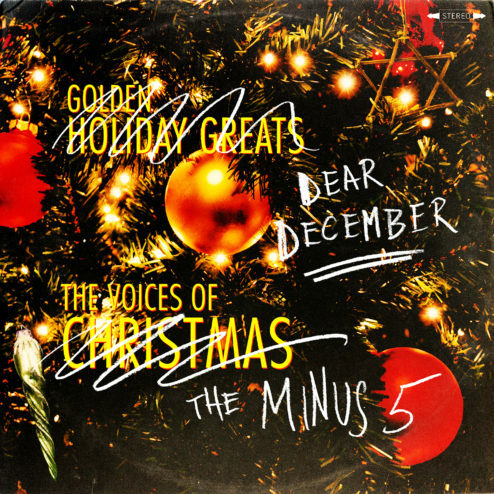 A humble offering of original holiday classics, Dear December features collaborations from M. Ward, Ben Gibbard, Peter Buck, Mike Mills, Colin Meloy, Chuck Prophet, Tammy Ealom, The Posies, Kelly Hogan, Nora O’Connor and more, featuring a deluxe Advent-inspired calendar, a gatefold cover and white vinyl and digital download. Yep Roc Announces Record Store Day Black Friday Titles! YRMG Record Store Day 2018 Titles Announced! Includes releases from Robyn Hitchcock, Elvis Costello + more!